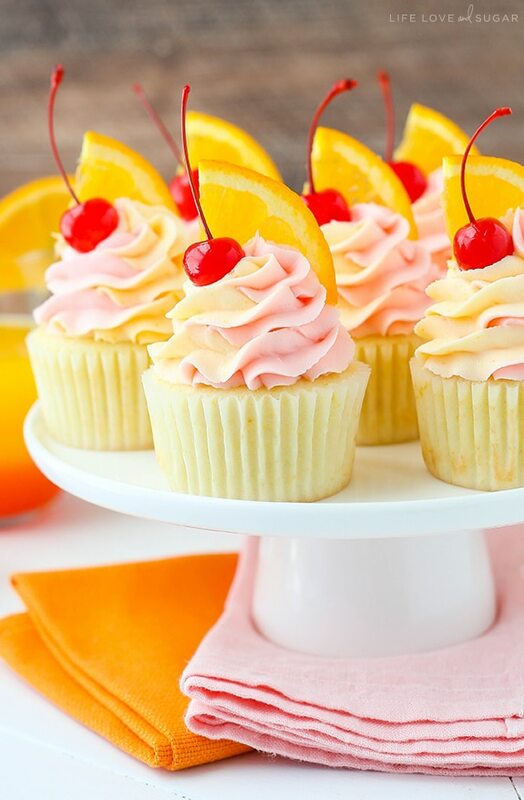 These Tequila Sunrise Cupcakes are fun, fruity and spiked to resemble a favorite cocktail of mine! 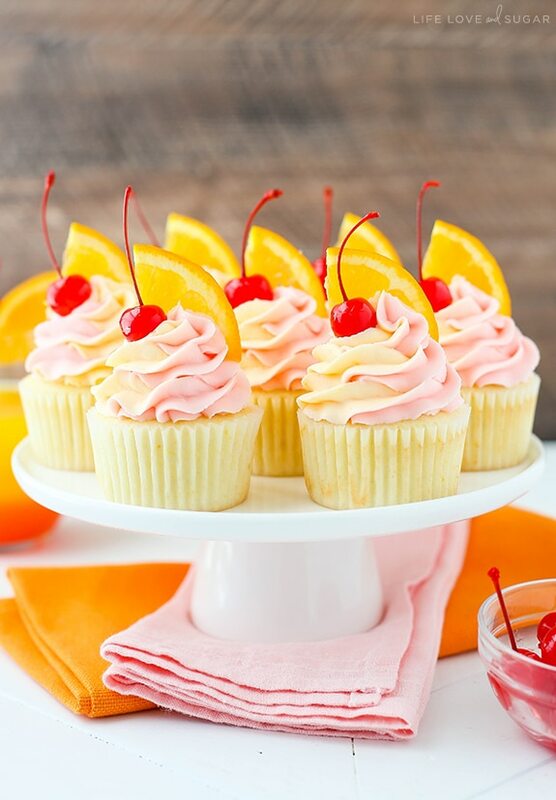 With flavors of orange, grenadine and tequila, it’s a delicious combination! I am so excited to share today’s post with you. I’ve been baking for quite some time now and back in the beginning, I spent many days and nights learning all about baking and cake decorating. I scoured the internet for tutorials and inspiration and one of my favorite sites to visit was The Cake Blog. So I’m sure you can imagine that I was totally floored a few weeks ago when Carrie asked me to be a contributor to her blog. My mom and husband tell me I have a tendency to not give myself enough credit, so I typically am surprised when people like my work – especially enough to want me to post on their site. Given that I’ve admired her site for so long, it is pretty awesome to have the opportunity to contribute to it. Well, today is my first post over on her site and I’m seriously honored to be featured on her blog, alongside so many amazing cake decorators and bloggers. If you’ve never seen her blog before, now is definitely the time. 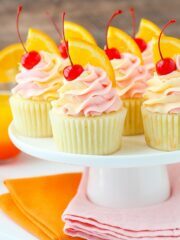 So head over there to check out my Tequila Sunrise Cupcakes! 🙂 I’ll be hanging out over once a month. Woop woop! 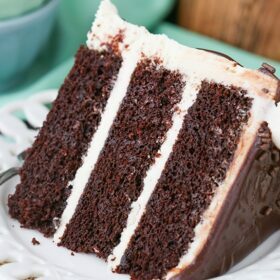 Head over to The Cake Blog for the full recipe and instructions. Wow! 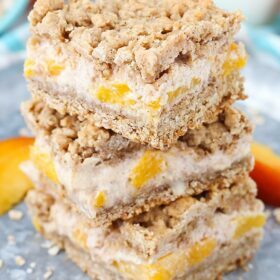 Another amazing treat from your kitchen! Yes, I will be heading over to have a look. These are so cool! 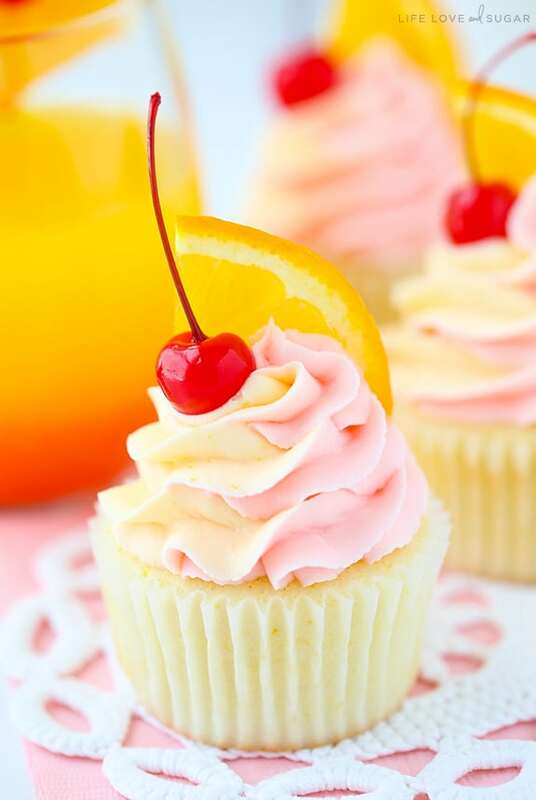 Only you could create a cupcake that truly looks like a sunrise. 🙂 Perfect! These are some of the most gorgeous photos I’ve ever seen! Quick question, what can I substitute the tequila with in the cupcake batter and the frosting? Thanks a bunch!! Wow, these are so gorgeous! I love the colors of the frosting! i have a question, do you beat the egg whites before you add them or are they unbeaten? Hi a substitute for grenadine? Thanks all the recipes are just amazing! I’m not sure. If you’re still looking for that cherry flavor, some kind of cherry syrup or something would probably be best. i made these over the weekend for a bridal shower and they were fabulous!!! quick question can you make them a little more alcoholic? I’m glad you enjoyed them! You probably could make them more alcoholic. The best way might be to drizzle or brush some additional tequila over the baked cupcakes. 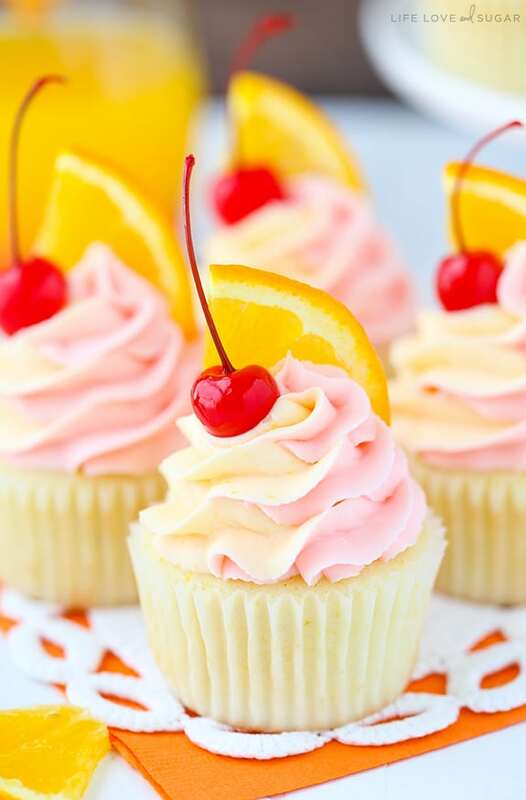 You could add more to the cupcake or frosting itself, but you’d have to remove something else to make up for the additional liquid and it might not give you the same cupcake outcome.